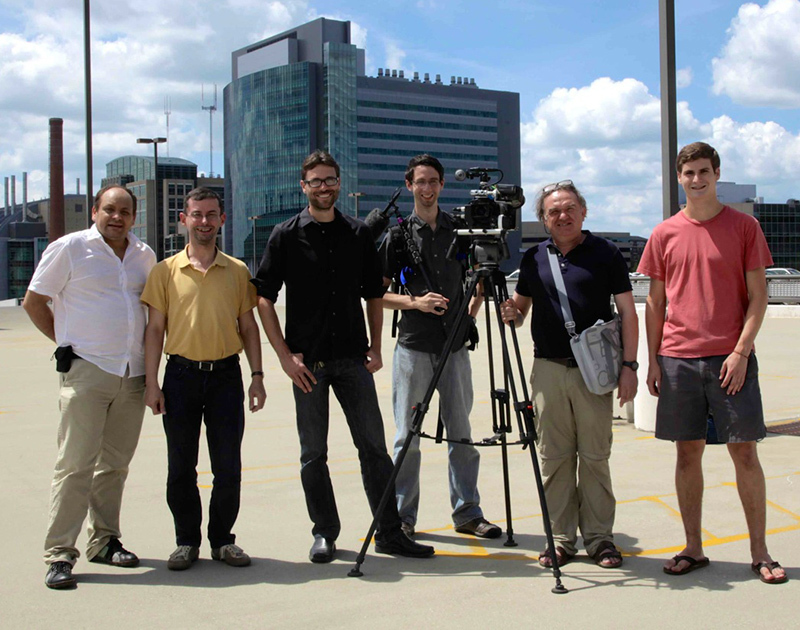 Our lab was fortunate to contribute to Jacques Mitsch’s film “Animal Doctors” in 2013. This was a great opportunity to feature our work on monarch medication alongside the self-medication behaviors of other animals, including chimpanzees and sheep. The film was published on Youtube in 2016. 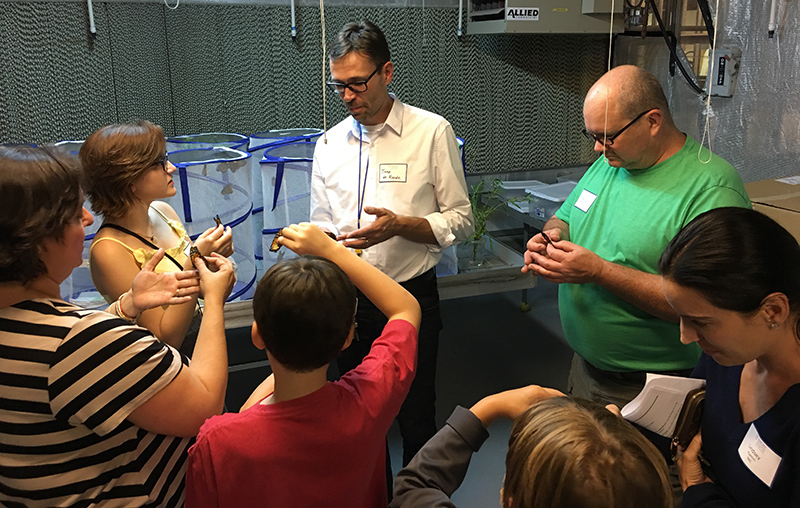 In September 2017, we hosted Emory alumni and their families to give tours of the de Roode and Gerardo labs and present our research. 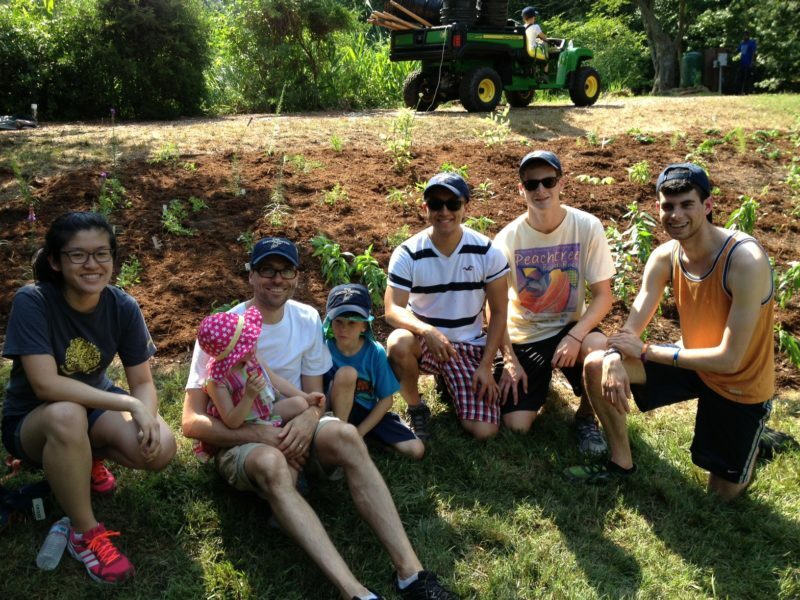 On 21 June 2014, lab members worked with Trees Atlanta and Carter Center staff and volunteers to create a pollinator and monarch garden at the Carter Center. In 2013, lab members Amanda Pierce and Michael Maudsley accompanied President and Mrs Carter to the monarch overwintering sites in Mexico, and President and Mrs Carter also visited our lab; pictures can be found here. Every October, we take part in the St Marks Monarch Butterfly Festival. Here we provide information on monarch butterflies and their parasites, and also give a demonstration on how to test whether monarchs are infected with parasites. The St Marks Wildlife Refuge, where the festival is held, is a beautiful wildlife refuge, which monarchs use as a stopover on their migration from North America to Mexico every fall. Besides monarchs, the refuge is host to many birds, alligators, otters and bobcats. Caterpillar demo. 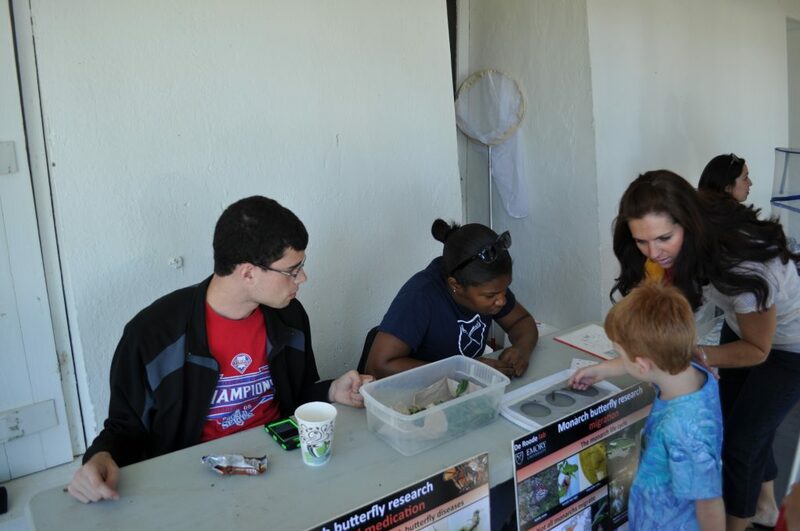 Itai and Erica show caterpillars at the St Marks Monarch Butterfly Festival in 2013. 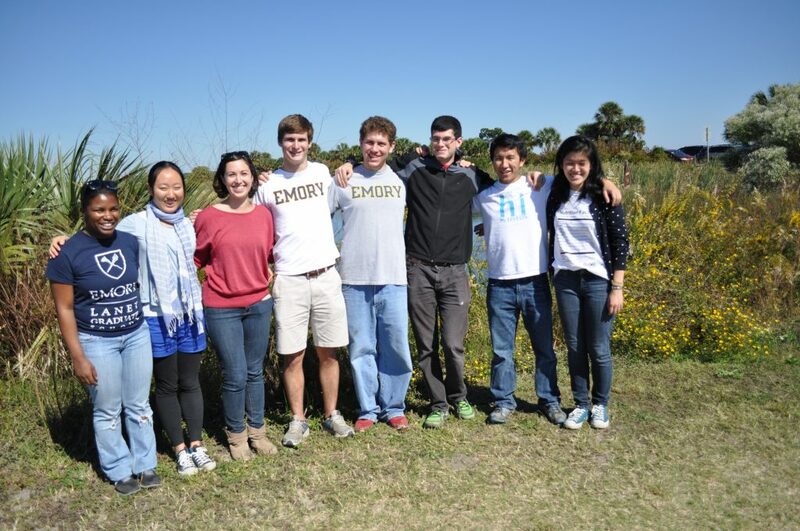 Outreach team: Erica, Helen, Amanda, Camden, Andrew, Itai, Kevin and Michelle visited St Marks in October 2013. Butterfly Bash: Camden in the butterfly tent, Jaap showing butterflies and Amanda dressing up like a monarch at the Fernbank Butterfly Bash Family Event, February 2013.